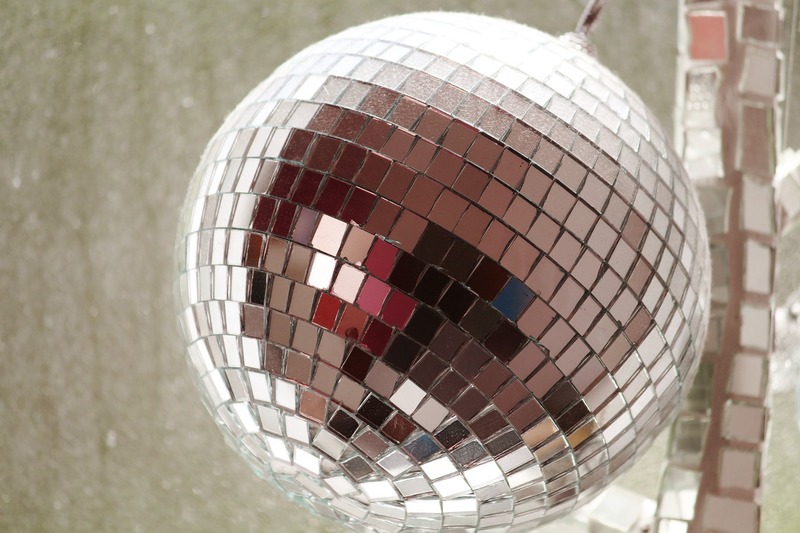 There's no better feeling than stepping onto a dancefloor without any inhibitions. Maybe you've got a few moves up your sleeve, or perhaps you've finally set your self-consciousness free. Either way, the best way to reach this pinnacle of dance ecstasy is to hone your skills and joy in a class. 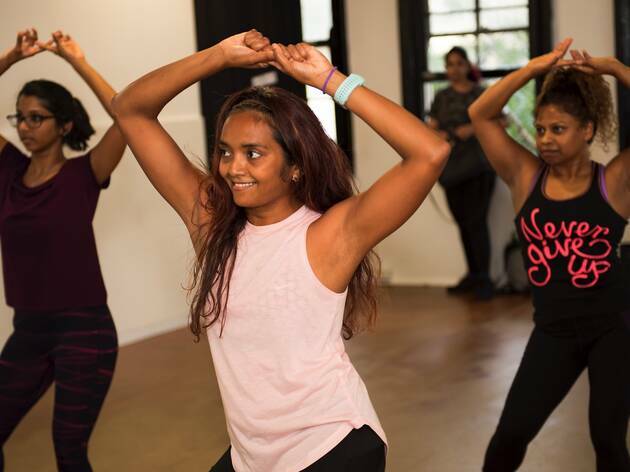 To help you in your fearless movement mission, we put our own moves to the test in some of the best dance classes in Sydney. 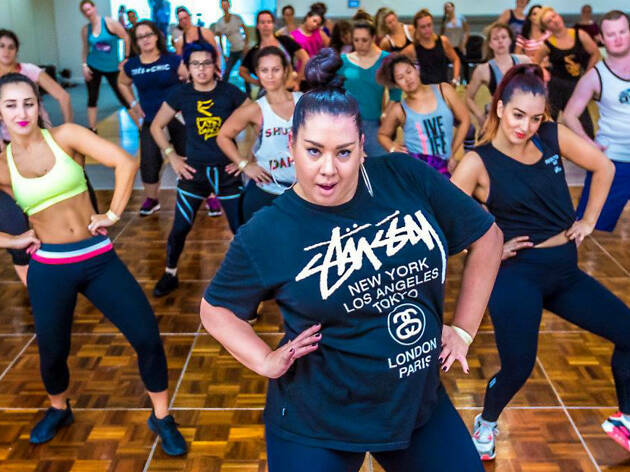 Find your flow shaking your booty, tackling contemporary twirls and grooving to the beat at these six drop-in classes – no experience or weekly comittment necessary. 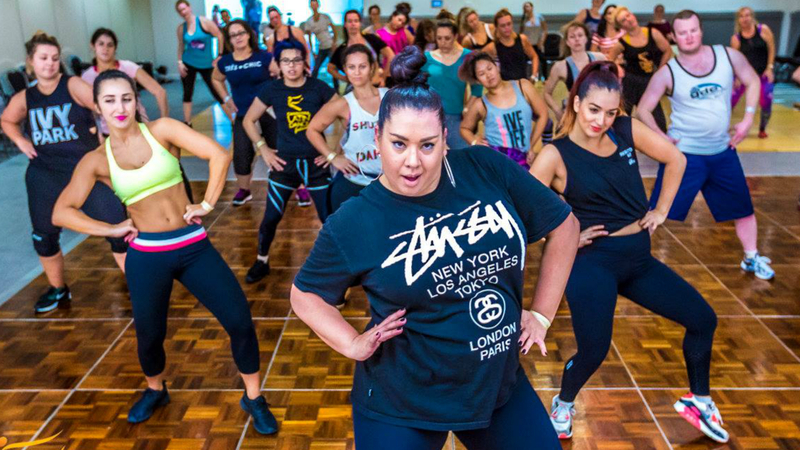 Then, grace the best clubs in Sydney with your new-found confidence, or have a laugh trying these weird workouts around the city. This is the ultimate drop-in class for wannabee groovers who’ve been too self-conscious to shake it in a structured setting before. The best part about Groove Therapy? There are no mirrors to confront you with imperfect poise. 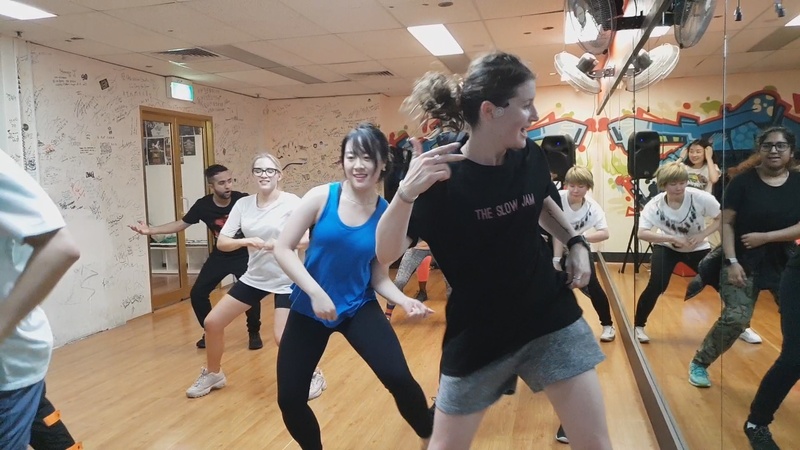 Your energetic teacher for the evening, Amy Zhang, kicks things off with a welcome to country and a brief explainer of of the ’80s hip hop party groove we're about to learn. “It was created in clubs, on dancefloors, so it’s less about being perfect and more about having fun with your friends and vibing off them,” says Zhang. Our group spends the one-hour class following Zhang’s effortlessly cool movements, going from glorious grapevines and stretches to head-bopping, toe-tapping isolations that put you in touch with each part of your body. The soundtrack is a mix of old-school rhythms and modern crowd pleasers – it’s like Grandmaster Flash and the Furious Five meets Missy Elliott and Anderson .Paak at a house party. If your body is aching for energetic, grounded movement full of fierce style, reggaeton is your remedy. 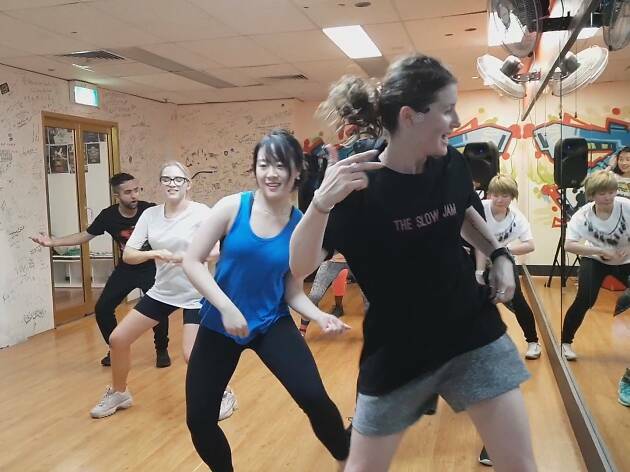 While you don’t need any experience to join the dancefloor, you will need to throw your body into the beat during this fast-paced drop-in class at Latin Dance Australia. Luckily, our powerful instructure Debralee Scarselletta is a world-class professional, and has a knack for helping us master the hip grinding, chest pumping, booty dropping and body rolling of this popular Latin dance style. 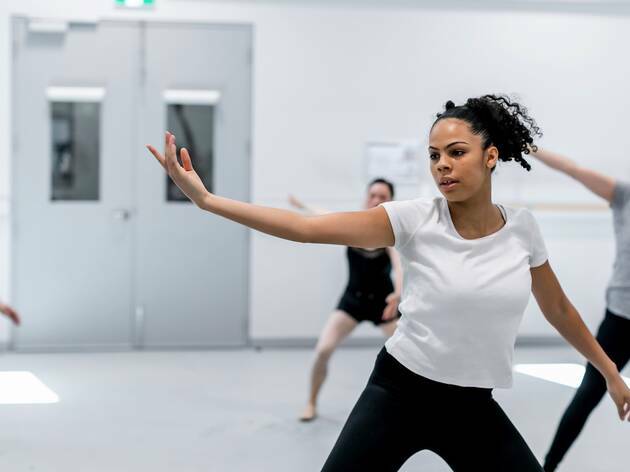 “There’s a definite heaviness and an attack to the movements, but also a beauty and flow in its fluidity,” says Scarselletta. We get sweaty in loose warm-up grooves before focusing on specific movements for the full duration of a thrumming song. Our thighs are burning after three minutes of booty dropping to the floor, and we discover uncharted territory in our core as we body roll into an aching abyss. 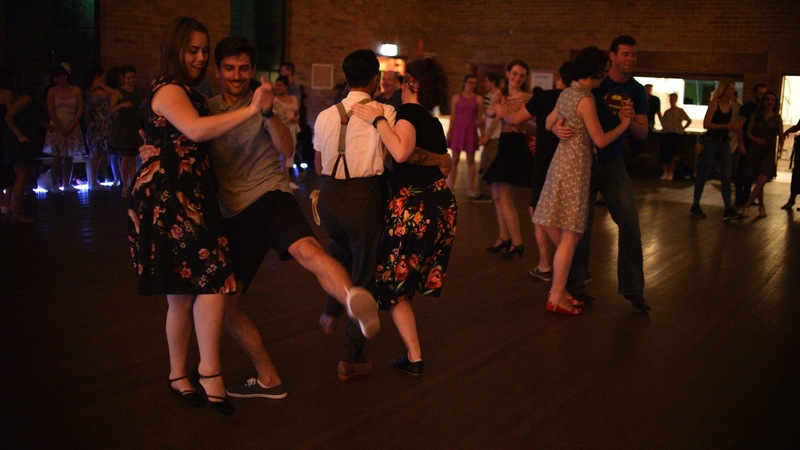 You’ll need to be OK with close proximity to strangers if you drop in for a Total Beginners lindy hop class with Swing Patrol at St Stephen's Church Hall. They get top points off the bat for the authentic feel of the venue – you could easily imagine you’re Charlestoning around an English village hall during WWII. And while there are people in casual clothes, you also see a lot of full skirts and dancing shoes, so don’t be afraid to get into character. Teachers Trish Carruthers and Derek G balance the needs of beginners and more practiced swing kids by structuring each class so you learn a complete set of moves: intermediate players can incorporate it into their repertoire and beginners can repeat it throughout an entire song and be dancing. 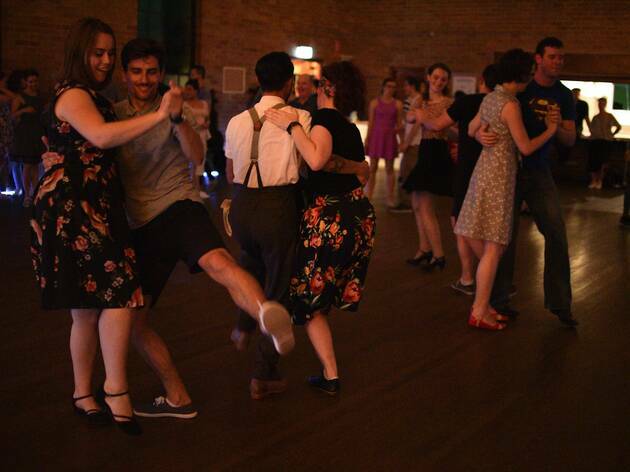 Our group is a diverse bunch, with many won over by the clear structure of lindy hop. 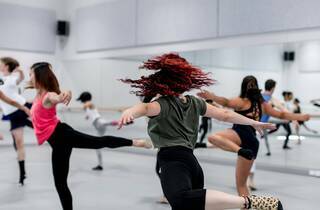 Walking into Sydney Dance Company’s new Ultimo studios can be an intimidating experience for a first timer, but this beginners’ class is well worth the challenge. We spend at least a third of the time warming up with stomach crunches, bicycle legs and big arm motions, before our teacher Vi Lam moves the class onto ‘progression work’. Groups of four dancers begin bending their legs and sashaying across the room to ‘Gimme More’ by Britney Spears. Then the real work begins with a short choreographed routine to Alicia Keys’ ‘If I Ain’t Got You’. After repeating the short routine for what feels like four or five times, it might be imprinted in our minds forever. It’s exhausting, a little frustrating when you’re not quite getting a move, and exhilarating. By the final turn we’re simply going with the music, which seems to do the trick. It’s a wonderous sensory overload when you hop off the lift at Crossover Dance Studios. You walk through graffiti-clad freestyle spaces where synchronised dancers bust incredibly fast hip hop moves to a constantly flowing electro-funk rhythm. Once we get into our Popping Beginners class, we quickly learn it’s not as effortless as they make it seem. Soon, we realise he's tricked us into learning a routine. He slows the pace down for new combinations and continuously reconfigures the sections for a mix’n’match of moves. At the sweaty end, we don’t think we’ve mastered the hits, ticks and pops that are the foundation of this hip hop, funk variant, but we’ve had a great time trying. And the brilliant, infectious mood at Crossover makes us want to come back for more. We’re in one of the smaller studios at Dance Central in Surry Hills as we nervously commence their Bollywood class. 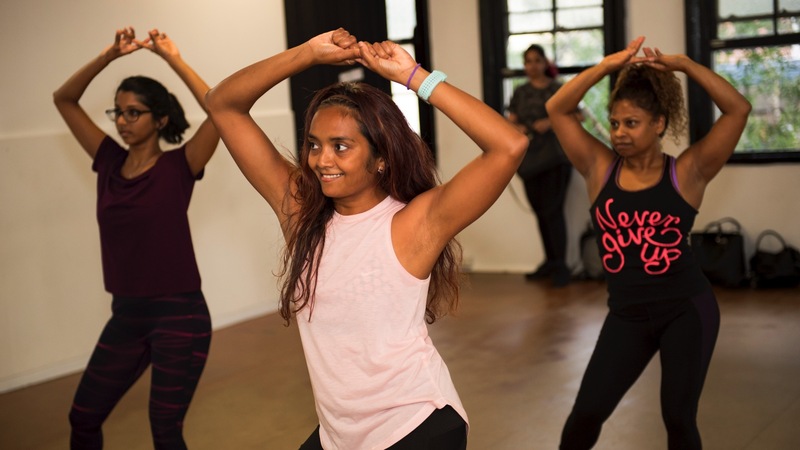 After about five minutes warming up, our skilled instructor Prafulla Parida throws us into a routine that we’ll perfect for the rest of the hour. 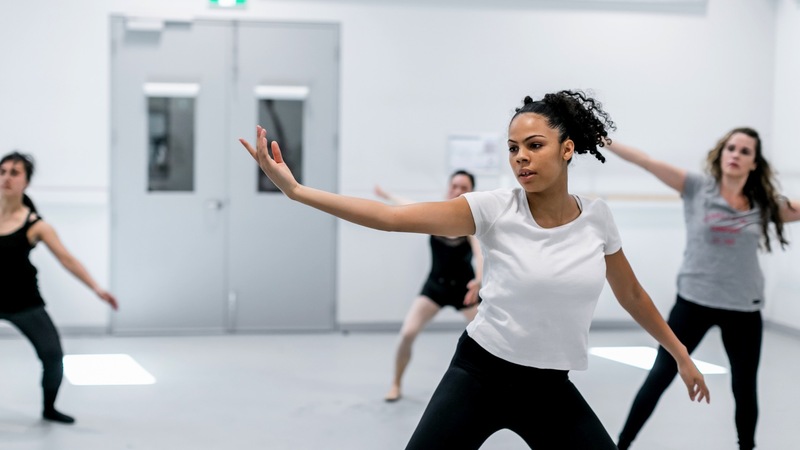 The movements we learn are an amalgamation of traditional Indian and South Asian dance, combining cultural symbolism with dramatic expression to follow the narrative of a Hindi-language song. Our knees are soft as we spin with flexed hands, strike poses, pump our hips, drop to the floor and leap back into action. The gestures, foot movements and facial expressions we make are a kind of sign language that help tell a story or describe characters. We’re sure we recognise a bird in the slower parts and a swaying elephant as we speed up. There’s a real sense of camaraderie in the class of ten as we bumble through sections of choreography in slow motion before bringing them up to Road Runner speed, and we can certainly sense the joy which Parida says is at the heart of Bollywood dance. Even as we’re fudging steps near the end that we thought we'd locked down early on, we’re glad we put in the hard yards. 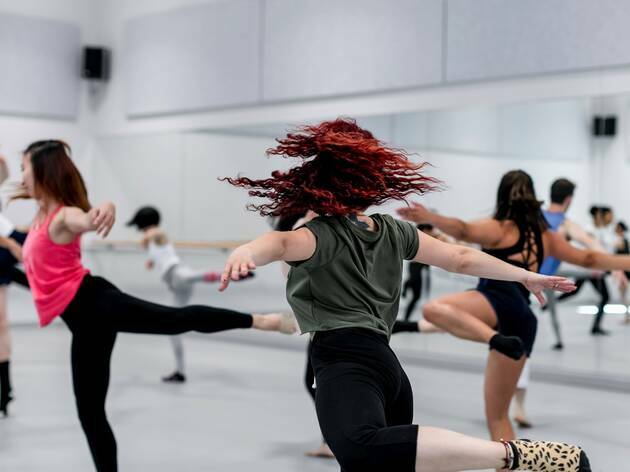 The routine – which feels like it should run for at least five minutes but flashes by in about 60 seconds – is a joy, and we can’t wait to learn more. 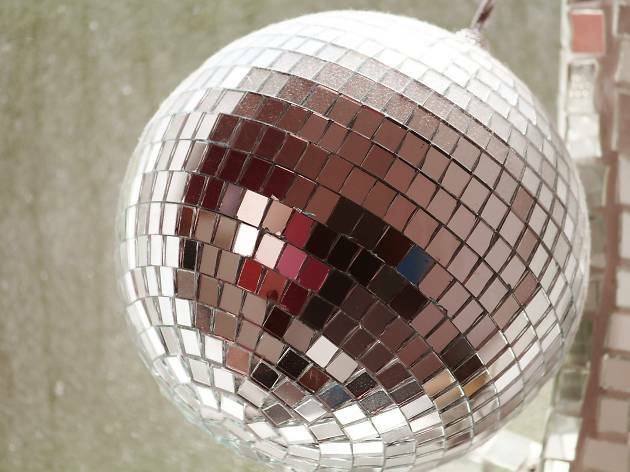 For the times you just want to sing ‘YMCA’ at the top of your lungs or drop down and get your eagle on, head to these dancefloors that specialise in guilty pleasure old-school hits.